4 Luxurious Bathroom Upgrades to Enhance Comfort and Style - Artistic Design Build Inc. When you’re thinking of hiring custom home builders to renovate your bathroom but you don’t have an idea of what you’d like to change, it’s time to look through design ideas for inspiration! 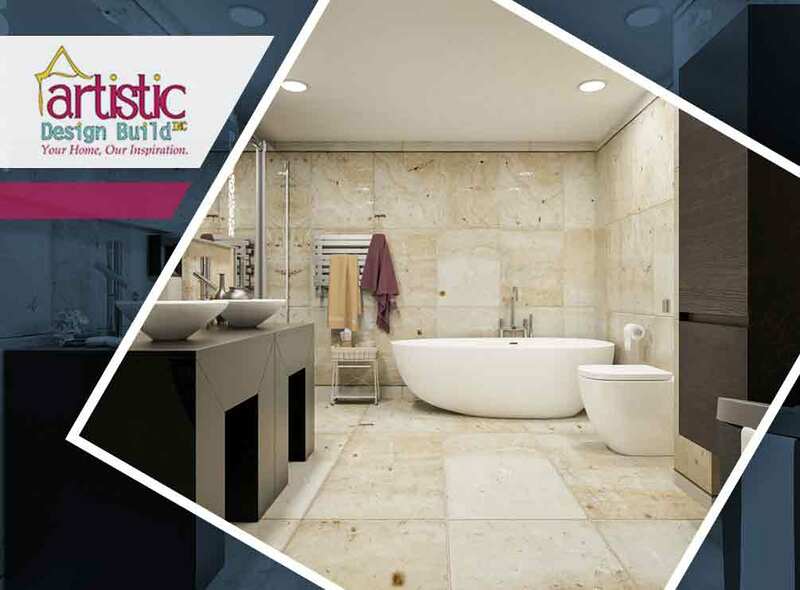 Artistic Design Build Inc has come up with a list of ways you can improve your bathroom’s opulence. Most of these ideas focus on improving the bathroom’s overall theme, but some focus on specific aspects of the bathroom itself. Monochrome With a Centerpiece – Try dressing up your bathroom with a redesigned color motif made up of a monochromatic wall and floor design. You can even extend this to your textiles if you can find materials in the color of your choice. Then, break the monotony with a centerpiece that stands out. It can be a chandelier, a portrait or a vase of flowers. Matching Walls and Cabinets With Bright Accents – This is a variation of the first, except you don’t extend the matching colors to the rest of the bathroom. Match your walls and cabinets with each other, preferably using a muted color palette, then use bright colors for the accents, such as for cabinet handles and towel hanging bars. Luxurious Wallpaper Contrasted With the Sink – If you’re skipping the tiles and wallpapering your bathroom walls, consider asking your contractor to design a bathroom that utilizes wallpapers that come in a rich, deep color with a toned-down design or one with a central motif. Pattern this wallpaper with muted marble amenities, such as a sink in dark marble. Modern, With Variations – Modern designs allow for plenty of room to navigate through, especially when the bathroom is considered. Simple modern designs focus on simple and neat, with clear lines and plenty of white. On the other hand, you can make your design more interesting by keeping the clear-cut lines but utilizing glass for your cabinets and lining your walls with black marble for that luxurious effect. At Artistic Design Build Inc, it doesn’t matter if you’re looking for a new bathroom design or custom kitchen remodel. We have experts who can help you figure out how to maximize your remodel efficiently. Give us a call at (301) 969-3037 today to learn more about how we can help you. You can also fill out our contact form. We serve residents of Potomac, MD. Which Countertop Material Is Perfect for You?